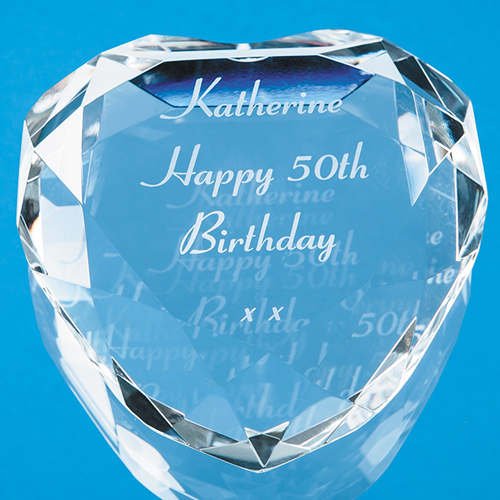 A thoughtful, heart shaped paperweight memento in flawless optical crystal with beautifully faceted and polished edges. It will suit many types of special occasion and can be personalised with a special greeting, message, date, logo or crest. It comes in a lovely presentation box.